New – Medical Adherence White Paper Released! A big problem. Poor medical adherence (also known as ‘medical compliance’ – the degree to which patients fail to adhere to their prescribed therapies) is recognised as one of the major challenges facing health care delivery in all countries of the world. 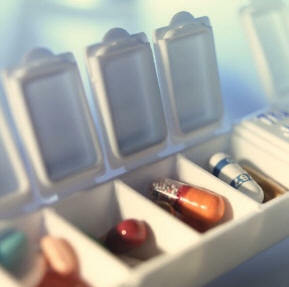 The World Health Organisation has estimated adherence to chronic medication as being typically 50% with some studies showing adherence rates as low as 25%. Low adherence causes problems for all parts of the healthcare system: the purchasers who are paying for higher hospital readmission rates, the pharmaceutical industry through reduced use of their drugs, and the doctors and patients through poorer clinical outcomes. The problem has been estimated as costing $300bn per year. These include looking at: the economic and regulatory barriers to real world adherence initiatives; the issue of poor adherence in clinical trials (and what should be done about it); and the wider role of digital measurement and monitoring in order to improve the effectiveness of therapies. As well as stimulating peer reviewed publications, the consortium has prepared a Position Paper recording its observations regarding the economic sustainability of adherence initiatives with a set of recommendations for real progress. This is available here [FULL and EXECUTIVE SUMMARY papers available]. Call to action! Join industry leaders from the pharmaceutical, medical device, pharmacy, systems integrator, and health information handling sectors together with health care funders and regulators to jointly make progress in this complex area. Fine out more here. Or contact us here with your questions.